In his book All Fishermen are Liars, John Gierach writes that he “came to know about Michigan’s Upper Peninsula through the writing of Ernest Hemingway, John Voelker (a.k.a. Robert Traver) and later Jim Harrison…. Whatever the reason, the UP is enshrined alongside the Serengeti, the Yukon and Paris as a place made romantic by virtue of appearing in books. Which is to say, I am the innocent victim of literature.” I have read Hemingway’s stories of Nick Adams and Robert Traver fishing the UP, so I understood what Gierach wrote. I have also enjoyed very many books by John Gierach. I was not a big reader growing up. That changed when I went to college. Since then, no matter how busy with assigned reading, whether in school or my job, I have always made time for pleasure reading. This reading is typically nonfiction, typically biographies, or history, or outdoor related. When I say outdoor related, I mean books about hunting, fishing, bird dogs, hiking, and the like. Gene Hill was an early favorite, as was Robert Traver. Both men wrote about a time gone by, when hunting and fishing opportunities lay just down the road and a farmland was open to courteous hunters. 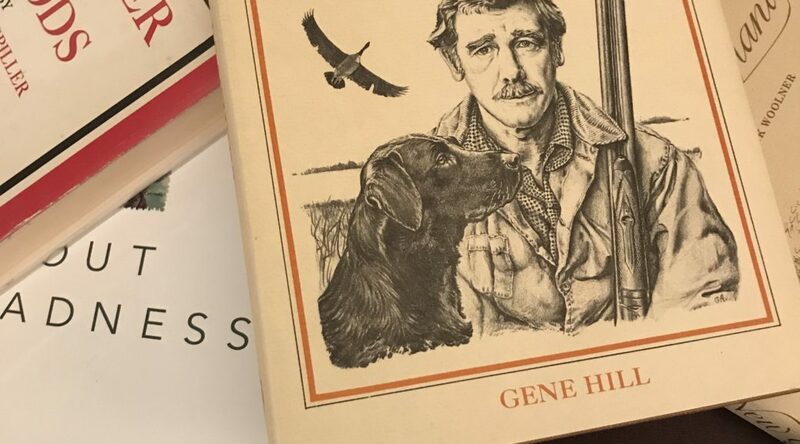 Hill’s writing focused on shotgunning and bird dogs. Traver’s writing was all about fly fishing in the black fly infested beaver ponds of the Upper Peninsula of Michigan. My dirty secret is that many of the books I have enjoyed entered my life as Audible audio books. I tried reading on my commute, but that was deemed unsafe. A viable workaround was listening to audio books. Fortunately, Audible had a selection, though limited, of books about upland bird hunting, sporting dogs, and fly fishing. Because selection was limited, my attention was focused on several authors with whom I was unfamiliar. It was through Audible that I was introduced to John Gierach. I have listened to all his available audio books and have actually purchased several real, honest-to-goodness paper books! Another great find was William G. Tapply.